We all have some basic patterns in our knitting library that we go back to over and over again. They are the projects that we know by heart because we’ve done them over and over. Whether it’s a standard hat or a simple baby blanket we all have the old stand-bys. But sometimes we want more than the basics. Then the hunt is on for a pattern as simple as your favorite, but with the personalized touch you want for a special gift. 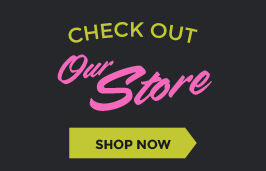 Adding a design using duplicate stitch charts is the answer! Pin the Duplicate Stitch Charts! 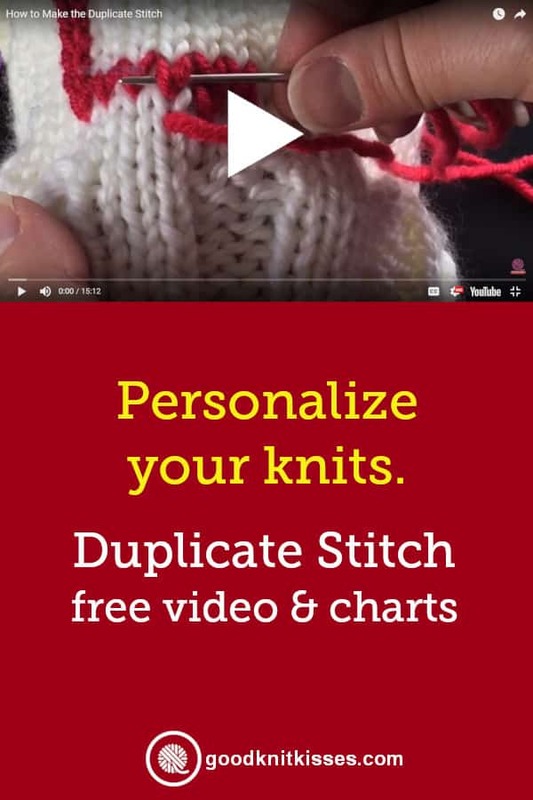 The duplicate stitch is a simple method for using a tapestry needle and yarn to add text, pictures or facial features to a basic stockinette project. The major advantage of using the duplicate stitch is that you can take a simple pattern and add ANYTHING YOU WANT once the project is finished. If you ever tried to juggle 5 balls of yarn while attempting an intarsia knit design you know it can be a bit overwhelming. And tangly. Very , very tangly. 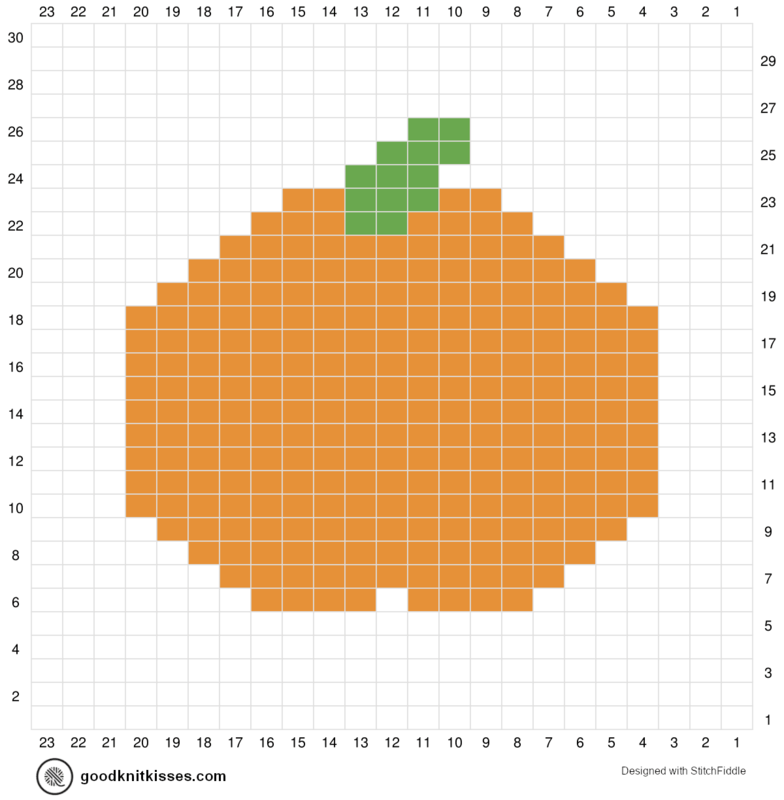 The duplicate stitch allows you to follow a color chart and add stitches on top the knit stitches on your stockinette background. I’ve got a video tutorial showing you this simple technique below, but first let’s take a look at some charts. First, I want to show you some very basic picture charts. 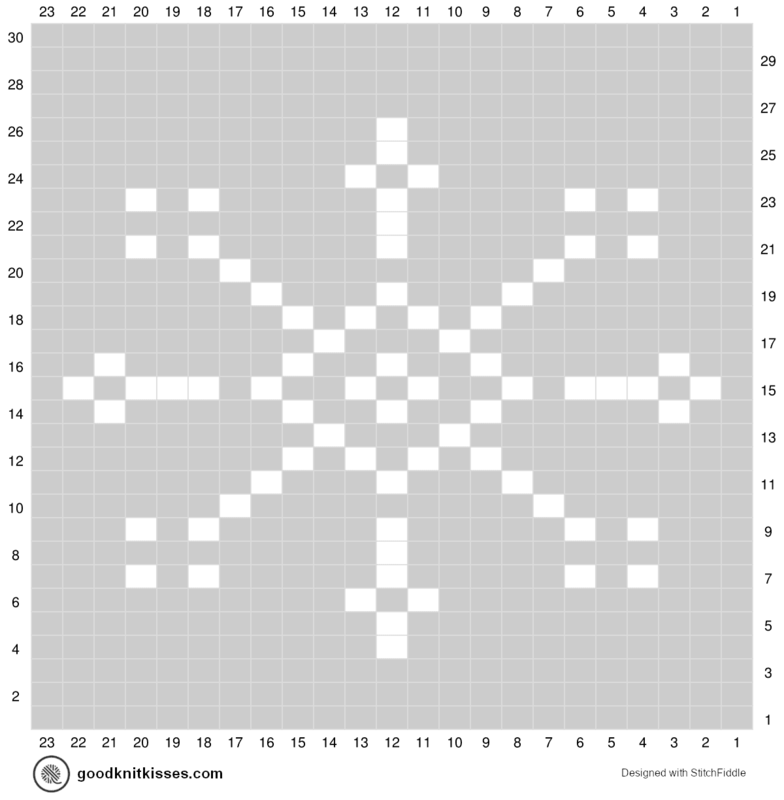 The snowflake has just a few scattered stitches of white on a colored background. Add this to a basic red stocking for a cute Christmas design. Stitch it on a blue sweater for a fun winter pattern. Next this pumpkin is an example of a solid design. This would be a great addition to a placemat or table runner. Next, let’s take at something a bit more complex… text charts. Adding letters or numbers changes the project drastically since you can add virtually anything. 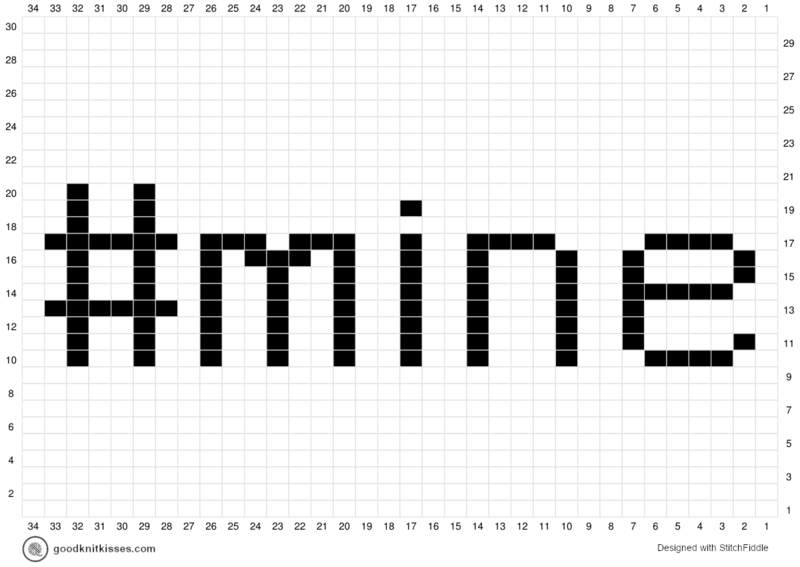 Below is a simple chart to add “#mine” to your cup cozy, hat or scarf. Yeah, it’s a bit snarky, but everyone will know who it belongs to. But what if you want to create your own text? No problem at all! 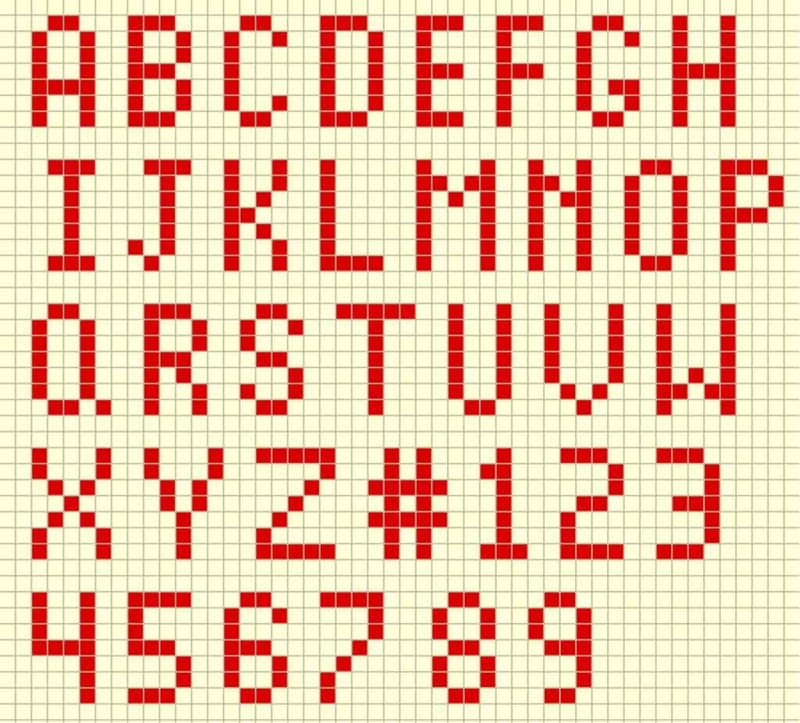 I found this great page from ChemKnits that has a huge list of alphabet knitting charts in a variety of sizes and gauges. You can even find different fonts! Just remember to look at the size of the letters on the chart before you choose one. 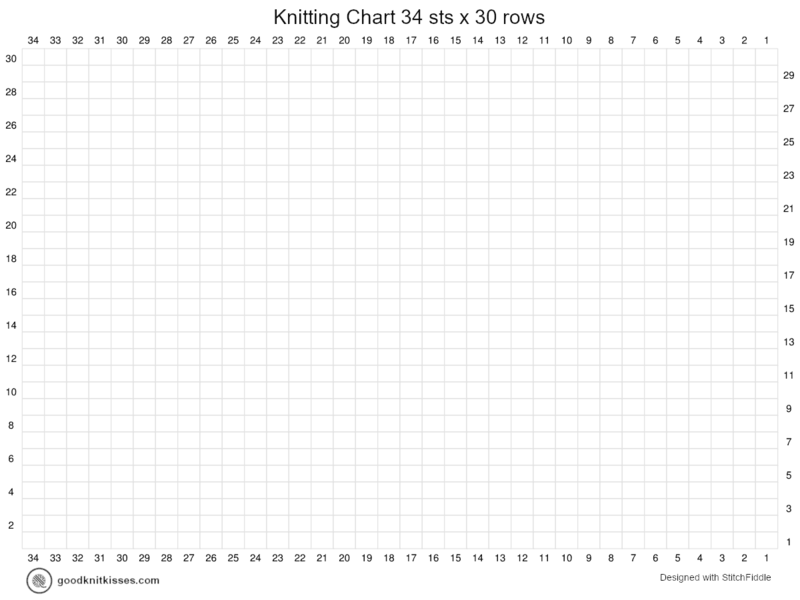 A chart with letters 20 stitches wide and 40 tall wouldn’t work for a chunky knit hat! 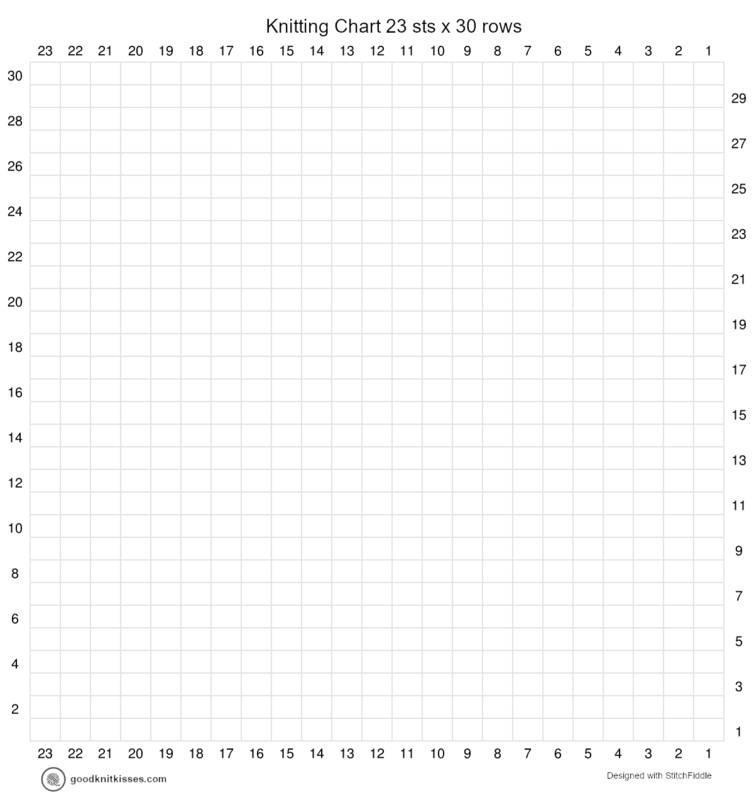 Feel free to use one of the charts below to create your own unique picture or text design. Learn to use Duplicate Stitch Charts to add details to your knits!